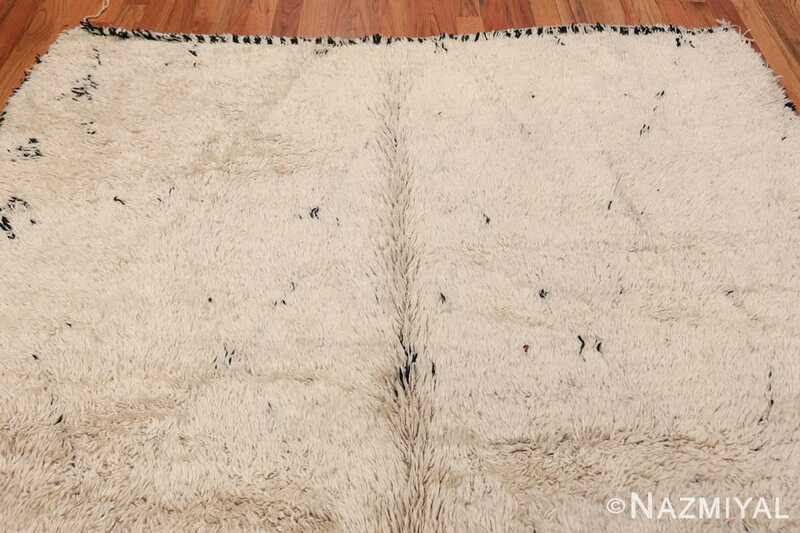 Magnificent Gallery Size Vintage Moroccan Beni Ourain Rug, Country of Origin / Rug Type: Morocco, Circa Date: Mid - 20th Century - The subtle, organic design of this vintage mid 20th century Moroccan rug would make an excellent addition to any interior design that needs a unique one of a kind piece to draw all of the elements together. The neutral tones of the vintage rug make it versatile enough to suit a number of design schemes. 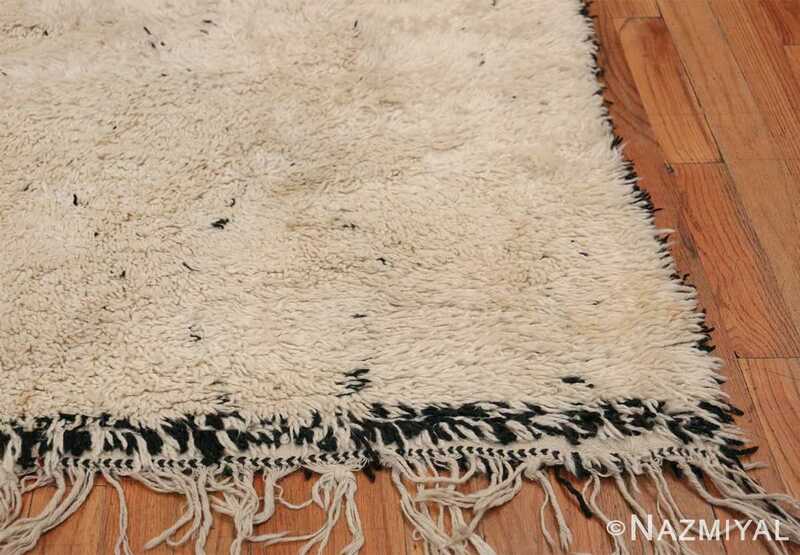 Many of the most famous mid-20th century designers fell in love with these rugs from Morocco because of their rustic, primitive qualities and tribal connections. This is only one of many reasons why designers of today continue to make them an important centerpiece of their interior design projects. The lines of Moroccan Berber carpets range from thick and bold to ghostly and barely even there, as in this example. 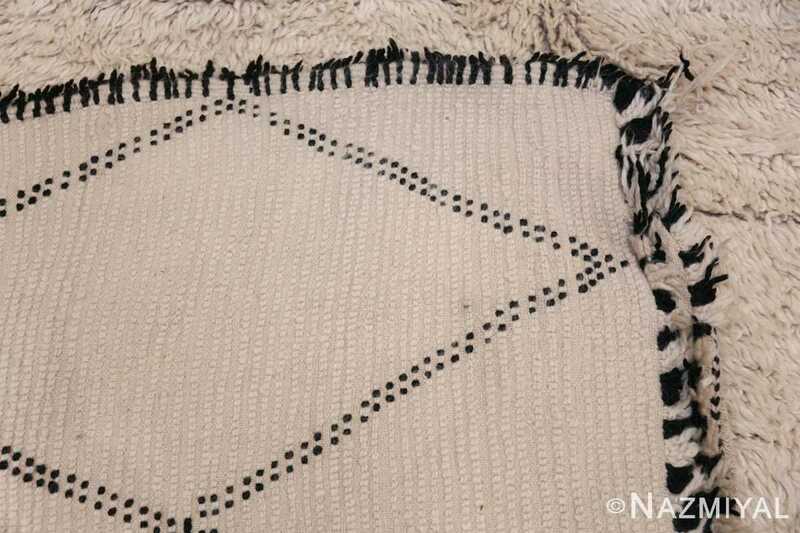 The carpet weavers often used geometric designs that appear to be hand sketched in changing thicknesses and tones. This would give them the artistic quality of a brushstroke or the light touch of pen and ink. This aspect of the design plus the fact that each one is unique, sets them apart from other vintage rugs that appear to be mass produced. 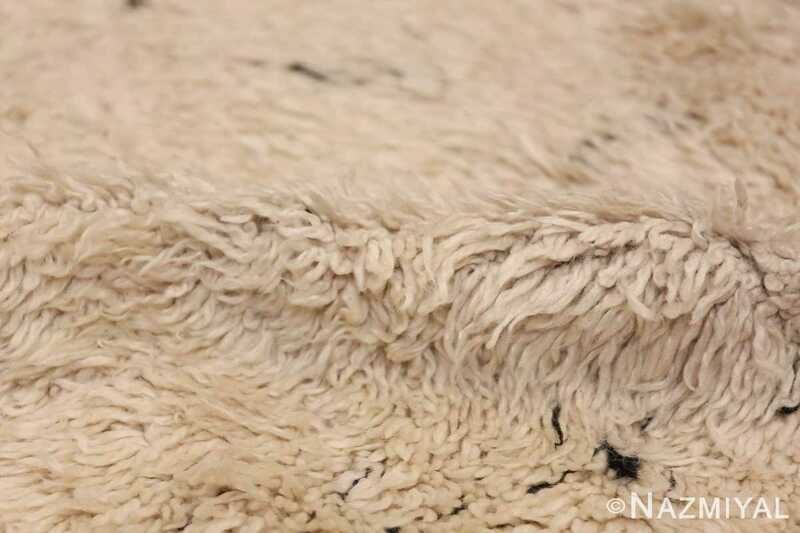 These beautiful Moroccan Beni Ourain rugs give the room a personal touch that cannot be replicated using an off-the-shelf piece. This magnificent gallery size vintage Moroccan Beni Ourain rug could easily be used to soften harsh geometric lines, in either a vintage room or modern one. 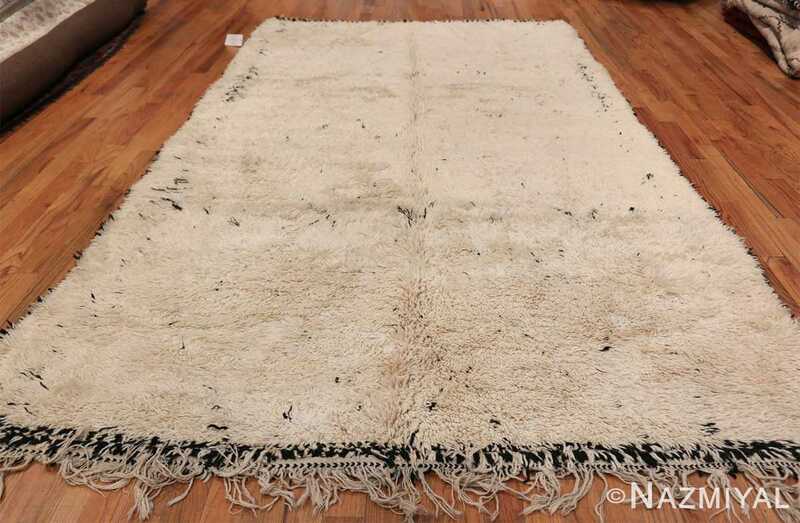 This long and narrow gallery size rug reflects the craftsmanship and quality that Berber tribal rugs are known for. 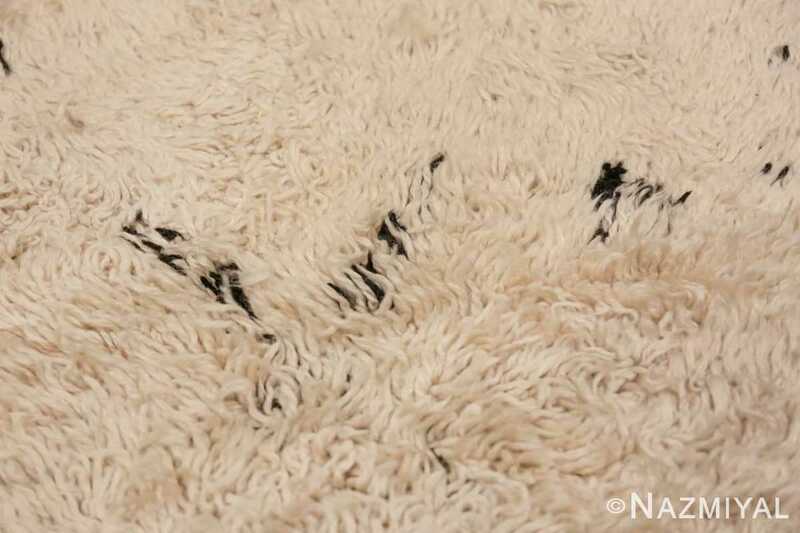 They are known for having thick plush shag pile and the ability to add a unique look and feel to a number of different design styles. This gallery size vintage Moroccan Beni Ourain rug would be a perfect addition to any home or office setting. 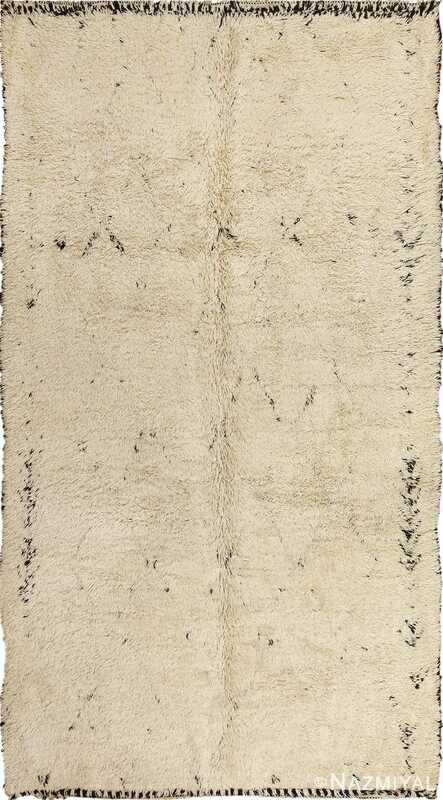 A broad ivory field bifurcated by a simple arrangement of stacked rectangles characterizes this pleasingly composed Benu Ourain rug.